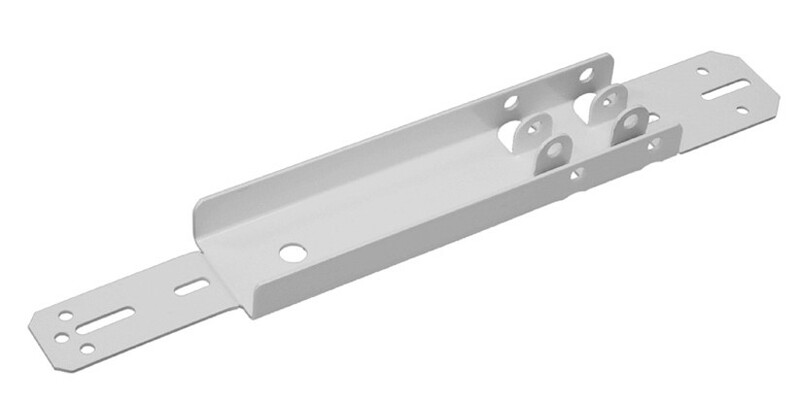 One Clear Choice offers pricing right here on our website for all garage door replacement parts, from rollers to garage door springs. We service all cities and neighborhoods near the Denver Metro area and surrounding areas in Colorado. 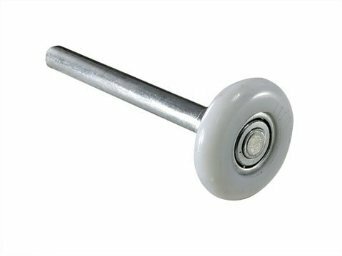 3″ Heavy Duty Solid Rivet Pulley 3/8 in. 3 in. 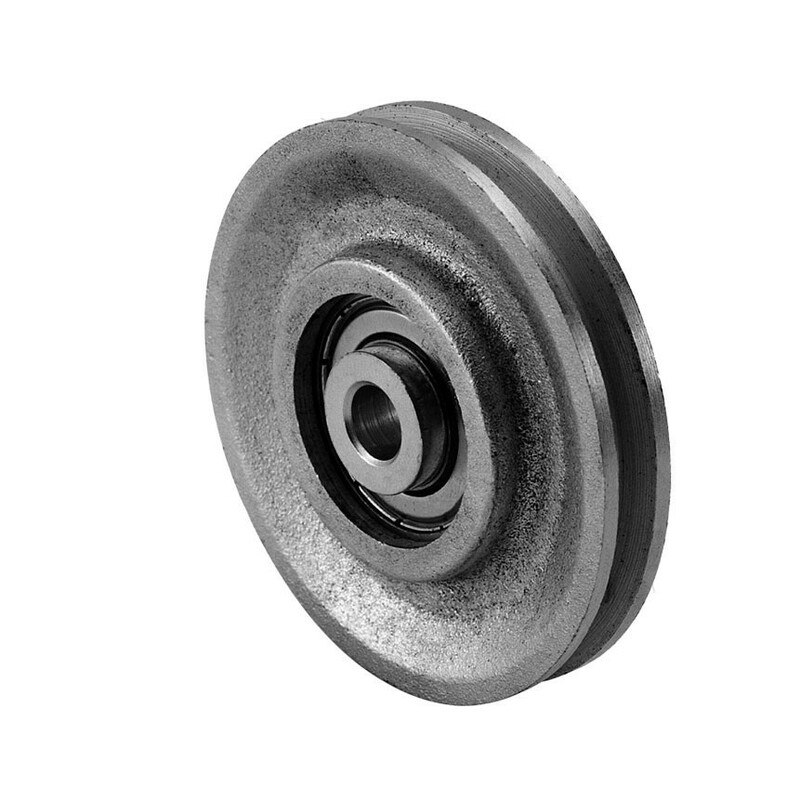 Cast Iron Pulley and Precision Bearing 3/8 in. Quick Close Top Fixtures. Low headroom NO problem. 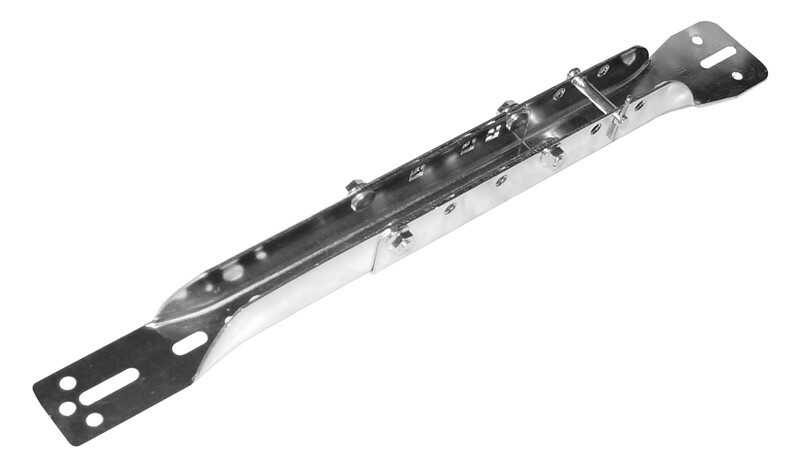 Gain 1-3″ clearance on the turning radius of door. 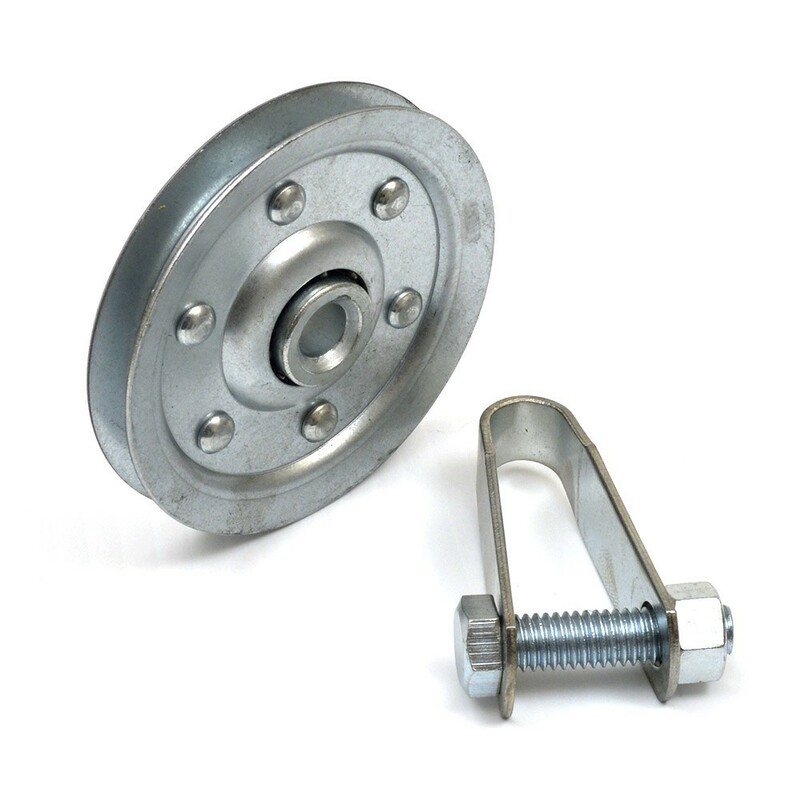 3″ Solid Rivet Pulley ZP 3/8 in. bore 100 lb. load, 10,000 cycles 8ft. high door. 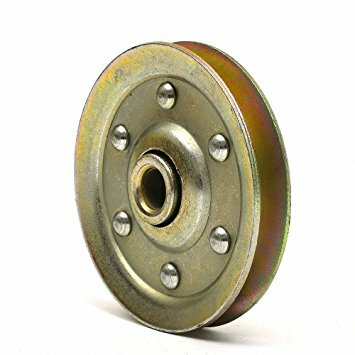 This is the most common pulley. 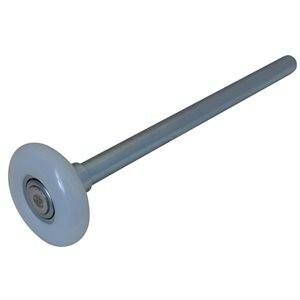 3″ Heavy Duty Solid Rivet Pulley 3/8 in. bore 200 lbs. load. 35,000 cycles 8ft. high door. This is the standard pulley we install. 10 year warranty standard when we install it. Maintenance required. 5 in. 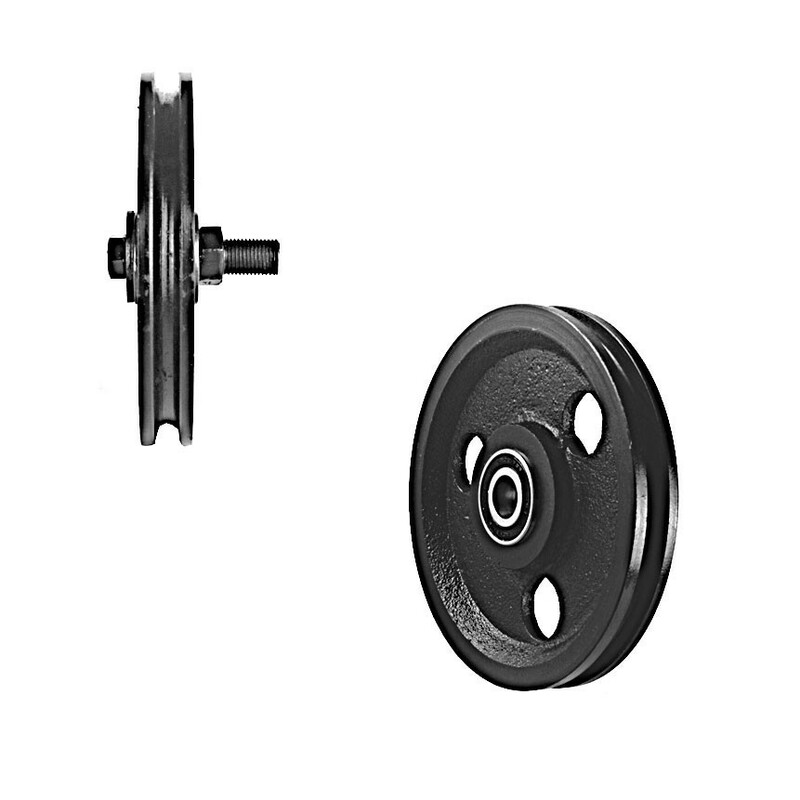 Cast Iron Pulley w/ two pressed steel bearings & 9/16 – 18 x 1 in. stud & nut – 400 lbs. Load, 35,000 cycles for 12.ft doors. 4″ stem 15,000 cycles if lubricated and maintained properly. If neglected can go bad in as little as 1 yr. RATED 2 in. 10 ball Steel 4 in. stem 75-lb load-15,000 12ft. door cycles. 2″ 10 ball Heavy Duty Steel 10 in. 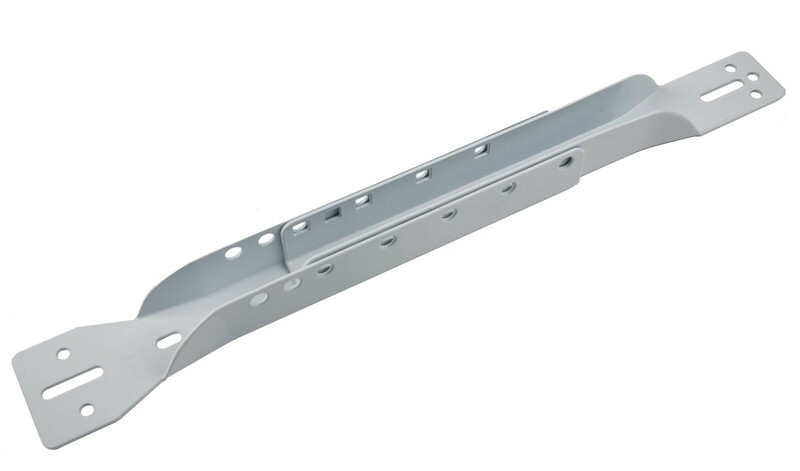 stem Zinc Plated 100-lb. load – 15,000 12ft. door cycles Requires maintenance for rating. 2″ 10 ball Heavy Duty Steel 7 in. stem Zinc Plated 100-lb. load – 15,000 12ft. door cycles. Requires maintenance for rating. 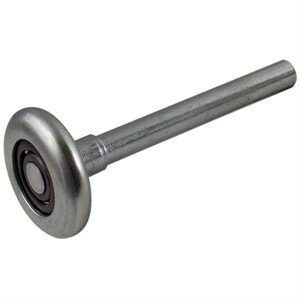 2″ 10 ball Heavy Duty Steel 4 in. stem Zinc Plated 100-lb. load – 15,000 12ft. door cycles. Requires maintenance for rating. 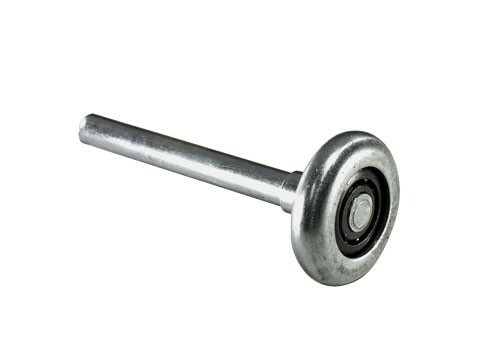 2″ Sealed bearing Nylon Roller with 4″ Zinc Plated Stem 100 lbs. 100,000 cycles for up to 12ft. doors. 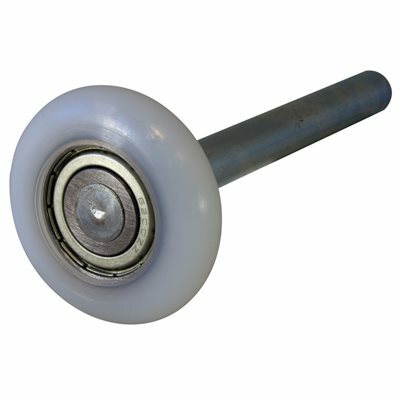 2″ White Nylon Precision Bearing Shielded 7″ Roller; Zinc Plated Stem; 100 lbs. rated. 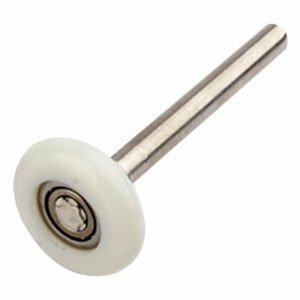 2″ White Nylon Precision Bearing Shielded 4″ Roller; Zinc Plated Stem; 100 lbs. rated. 2″ 11 ball x 7″ Nylon Roller White; 75lb load; 15,000 8ft. door cycles. We warranty this roller for as long as you own the home when installed by us. 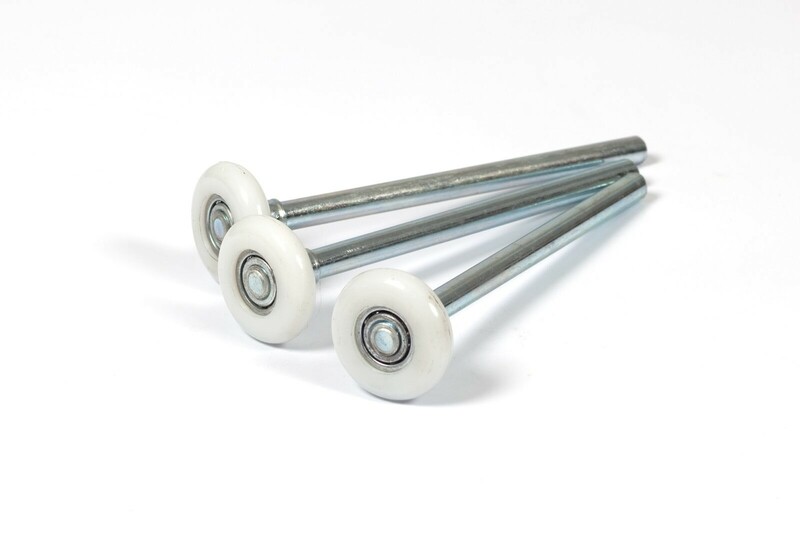 2″ 11 ball x 4″ Nylon Roller White; 75lb load; 15,000 8ft. door cycles. We warranty this roller for as long as you own the home when installed by us! 2 in. 7 ball steel – 4 in. stem 35-lb load-10,000 8ft. door cycles NOT RECOMMENDED FOR DOORS OVER 9′ WIDE. 2 in. Nylon No Bearing 4 in. 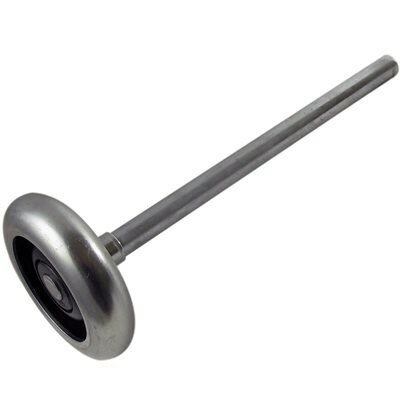 ZP stem 50-lb load-10,000 8ft. door cycles. NOT RECOMMENDED FOR DOORS OVER 9′ WIDE. 9″ stem 15,000 cycles if lubricated and maintained properly. If neglected can go bad in as little as 1 yr.
7″ stem 15,000 cycles if lubricated and maintained properly. 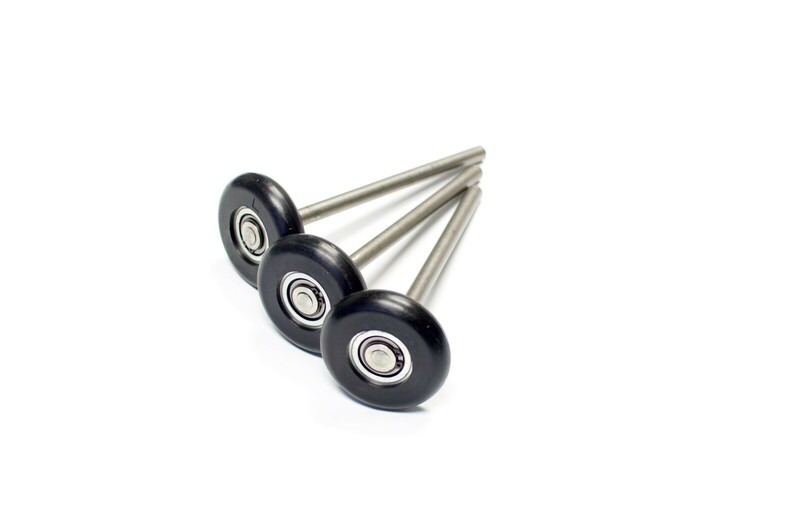 If neglected can go bad in as little as 1 yr.
3″ 10 ball Roller with 4″ Steel Stem. 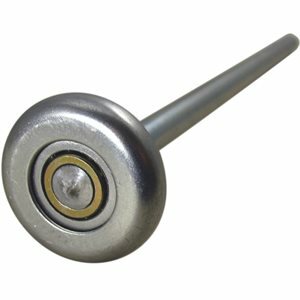 3″ 10 ball Roller with 7 1/4″ Steel Stem. 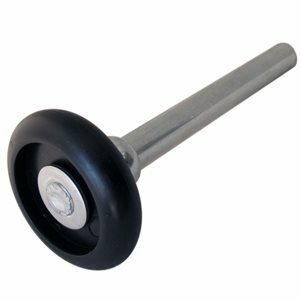 3″ 10 ball Roller with 9″ Steel Stem. Maintenance required for rating. 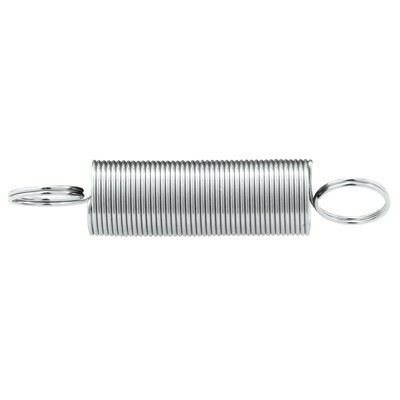 Galvanized torsion springs. 15000 cycles standard. Standard black steel torsion spring. 7,000-10,000 cycles. Double Loop Extension Springs. 10,000 cycles. 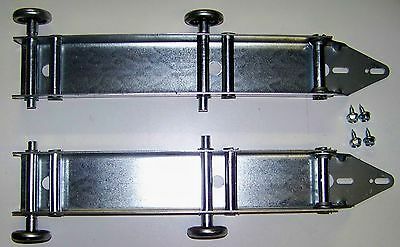 Designed for carriage style and commercial doors with oversize and double rows. Industrial Spring’s Balance King assists the spring set in the first 3′ of upward travel and the last 3′ of downward travel. The result is a completely balanced door that opens easily and closes safely and smoothly. 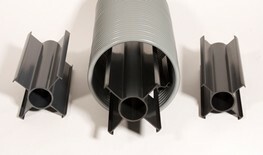 Helps support torsion springs that are sagging in the middle. 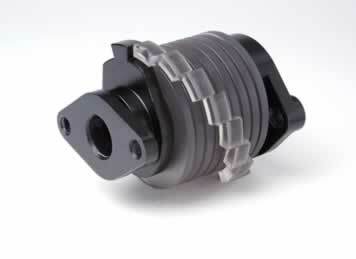 This reduces pinching and increases the life of the spring. Recommended with spring change out; must pre-order to install at time of spring replacement. Prices start at $69.00 installed. We must know spring size in order to quote price. 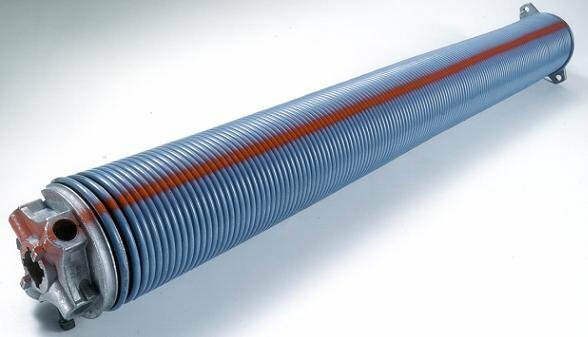 Minimum additional labor of 50.00 to all torsion spring installed pricing. 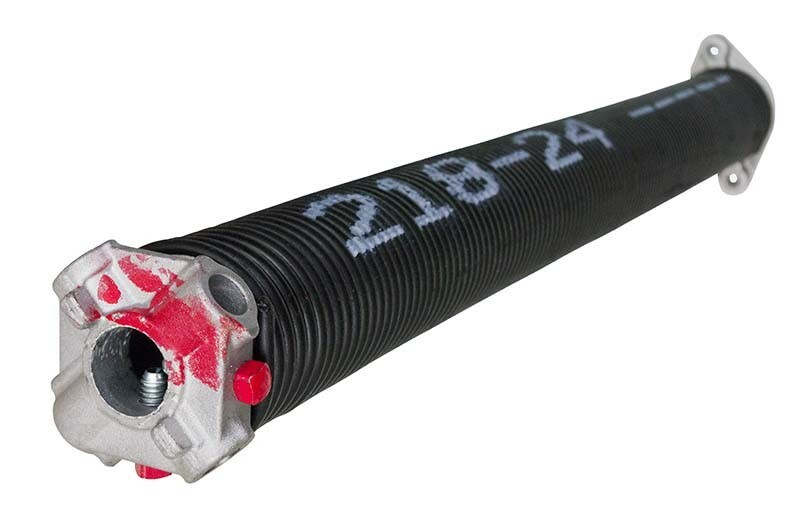 Garage door torsion springs can cause serious injury and even death. Prices are installed prices. Call for details: 303.622.3913.